The driver of a Ford F-250 was charged with DUI and careless driving causing injury after a crash Aug. 15 on Colorado Highway 184. 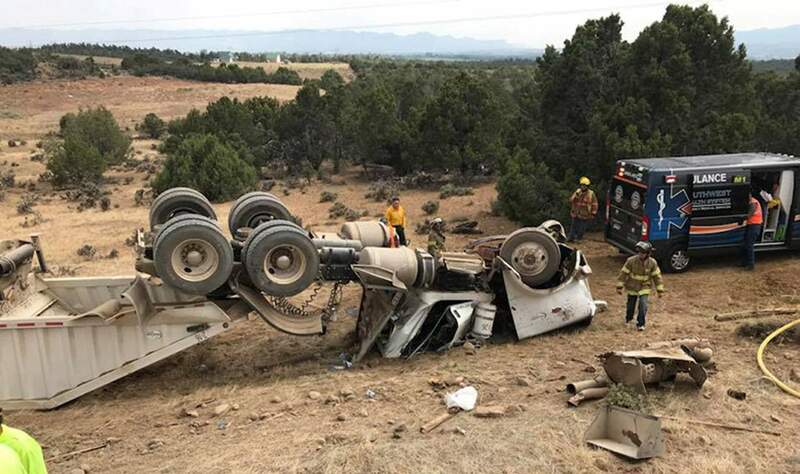 A Montezuma County road department gravel truck went off Colorado Highway 184 and flipped after a head-on collision with a pickup truck that crossed the centerline. Both drivers reportedly were treated at Southwest Memorial Hospital. 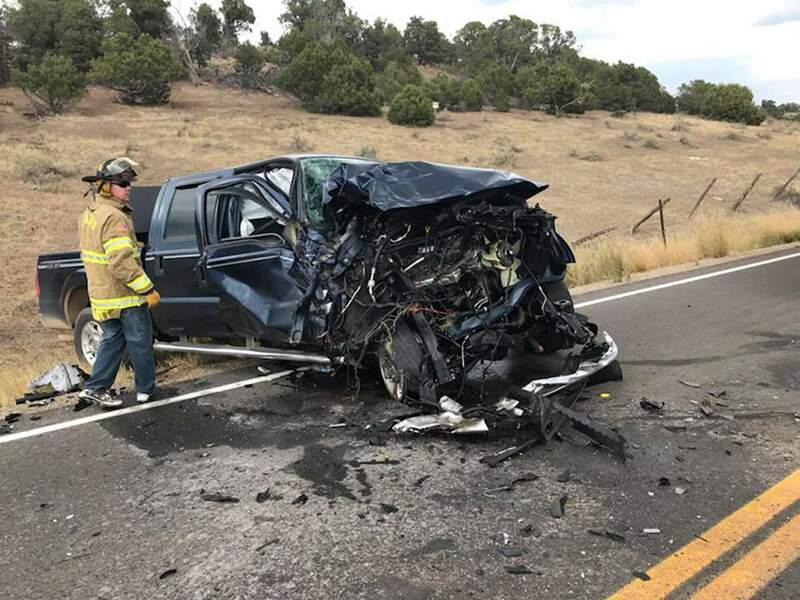 A Lewis driver faces a DUI charge after a head-on collision with a loaded Montezuma County gravel truck west of Dolores on Aug. 15, according to the Colorado State Patrol. The eastbound Ford F-250, driven by Serenity Leonard, was traveling on Colorado Highway 184 just east of Narraguinnep Reservoir about 3:20 p.m. when it drove onto the shoulder of the road, swerved across the road onto the opposite shoulder, and collided with the westbound semitrailer. The semitrailer driver, who apparently swerved to avoid the collision, veered across the centerline, went off the highway and flipped. Both drivers were transported to Southwest Memorial Hospital, treated and released. The highway was closed in both directions for about an hour, the Colorado State Patrol said. The pickup truck sustained severe front-end damage. Leonard reportedly was not wearing a seatbelt, but her airbags activated, the state patrol said. “The multiple airbags that deployed likely saved her life,” state Trooper Wyatt Smith said. Montezuma County Sheriff’s deputy Donnie Brown reported that when he arrived at the scene, he saw Leonard walking north uphill away from the crash site. When he approached, she was unresponsive to his questions and was bleeding from the head, the Sheriff’s Office report said. Leonard then attempted to stiff-arm past Brown, who utilized an arm bar takedown to control her, according to the report. Leonard began “swinging widely and screaming to let her go,” Brown stated in his report. While awaiting for medics, Brown applied gauze pads to Leonard’s head to control the bleeding. A partially consumed bottle of whiskey was found in some brush near where Leonard was contacted by Brown, according to Smith. After being cleared from the hospital, Leonard was arrested for DUI, Smith said. She also faces a charge of careless driving causing injury. Injuries to both drivers were not life-threatening. The driver of the semitrailer was wearing a seatbelt.